Working at the subtle body level impacts what you think, feel, and experience, and we know now for certain that this in turn can trigger change at the physical level, including in your brain and gene expression. Don’t let the title of this post scare you off – I’ll keep it simple, promise! I’ve wanted to write a post for awhile on neuroplasticity and epigenetics, two of the hottest scientific topics these days. 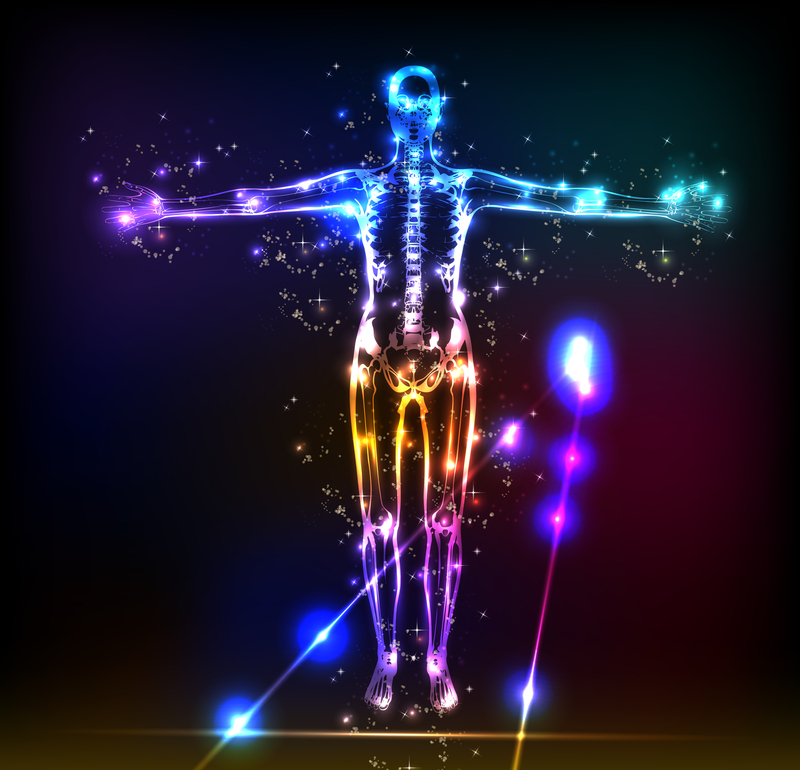 These two relatively recent fields of study affirm the power of the mind-body connection, and (in my opinion) the possibility of energy healing and chakra work to trigger profound physical change, including in our brains and gene expression. This is the weekend to write about this, because Friday we had a solar eclipse, equinox, and supermoon (new moon at the closest point to the earth) all corresponding in a 24 hour period! It’s a transitional peak, and all about change. Stroke victims recovering lost functionality due to their brains reorganizing themselves so that new neural pathways take over functions previously performed by the damaged part. Deep sea divers seeing hundreds of feet deep underwater because they have learned to control their eye lenses and pupils through brain control the rest of us never develop. Professional musicians’ brains developing extra gray matter in the areas of the brain related to playing their instruments – so much so that neuroscientists can often identify a professional musician by looking at a scan of their brain. Tibetan monks brains’ emitting increased gamma rays, associated with higher mental activity and heightened awareness, even when they are not meditating, indicating permanent ‘upgrades’ to their brains due to meditation. Athletes’ visualizing perfect performance, and brain scans showing this strengthens the same parts of the brain that are activated when they are actually physically performing. What’s the relevance of all of this in terms of energy work? They are all proof our brain changes in response to our environment, activity, or thoughts. Our thoughts change our brain, our brain doesn’t simply determine our thoughts. This sounds pretty basic to anyone involved in mind-body modalities, but it’s a revolution in neuroscience. And of course it means you can change your brain – and thus your body – through the power of your mind. Epigenetics takes this one step further, by offering up the possibility that when we do manifest this level of change, we may actually change our gene expression, thereby impacting not only ourselves but our descendants. Epigenetics is the study of what factors impact how a given gene in our DNA sequence expresses itself. For example, we may have a genetic propensity for a particular medical problem, but never manifest that problem. What lifestyle, diet, and environmental factors impact whether that genetic tendency does or doesn’t manifest? This, in a nutshell, is the study of epigenetics. Our DNA does not change, but which parts of it manifest during our lifetime is more fluid than we ever thought. One of the more groundbreaking findings within epigenetics is that some changes may actually be passed down to future generations. There is already research to suggest that trauma in particular alters gene expression, and makes us more prone to health problems later in life. Now there is also research to suggest that this gene expression may in fact be handed down to future generations, i.e. trauma in one generation negatively impacts the health of future generations. On the plus side though, there is the possibility that healing from trauma, reversing the gene expression and manifesting good health and psychological impacts, also flows down to the next generation. In other words, that when we heal, we heal not only ourselves, but future generations. Mainstream science is a long ways away from connecting the findings of neuroplasticity and epigenetics, and certainly does not acknowledge the power of energy healing and techniques to manifest physical change. But looking at this research it’s hard not to feel that science is on the brink of validating what many spiritual and energy healing traditions have taught for centuries: That we have the power to heal, and to change, at any point in our lives, that how we choose to live and the states of mind (or vibration) that we choose to manifest impacts our body, brain, and even genes, and that this carries forward beyond ourselves, to future generations, and thus the future of our world. When we add to this the powers that cannot be explained by science – the power of love, of insight, of spiritual connection – we can begin to see hope for the future of this world, a possibility for healing our world and our children from damage done by the massive amounts of violence and suffering happening throughout the world at any given moment. Of course I have to add disclaimers to this. Personally I believe any kind of energy work always works best in combination with psychological and medical treatment, so that the ‘whole’ being is being addressed – mind, body, and subtle body. And manifesting new neural pathways or gene expressions isn’t simply a matter of visualizing or wishing it so. Even the traditions that speak of such powers – or siddhis – those that speak of the ability to manifest healings we would call ‘miracles’, emphasize the tremendous level of training and (more importantly) spiritual realization such healers cultivated over much time and with great dedication. On the other hand, each and every one of us has this potential, the seeds of self-healing and personal change, within ourselves. Start with one thought or shift today – one act of kindness or self-care, one activity that shifts you out of a dark state and into a light one, one meditation session – and let it be the start of a change that you gift to all those around you and maybe even your progeny. Believe it is possible, believe in yourself. Lisa – this is one of my favourite topics. I really enjoyed reading your explanation here. I’m utterly fascinated by epigenetics, (although I’m no scientist), and the idea that we can “tag” different DNA sequences; that they may be triggered or expressed according to our behaviour and environment. It’s a concept that’s both dismaying and empowering! There is so much in your post worth exploring/discussing. I love the idea of healing future generations by healing ourselves. It’s something that many alternative forms of healing and medicine have believed for a long time – that it takes a few generations to shift certain patterns. Yet the power of an individual to reset their own patterns in any given moment (even if this takes much longer to manifest) is a pretty amazing idea. It certainly makes me think of that saying from the Bhagavad Gita, (although I apologise for taking it out of its original context), that “on this path no effort is wasted, no gain is ever reversed; even a little of this practice will shelter you from great sorrow”. Thanks Lisa, this was a great summary. Sometimes it just feels like certain things are too deeply ingrained to ever change. But this does give me hope. And re: your comment about monks not having kids, yes but the idea that we may be able to ‘pass on’ our healing, or improved gene expression, is really empowering for us ‘laypeople’ spiritual practitioners and healers, don’t you think? I think often we undervalue the lay path, thinking only monks and nuns are the ‘real’ practitioners. But what a gift to our children, to be able to pass on the fruits of our practice and healing. Of course, it’s not healthy to get too caught up in that, because then we can turn to blaming ourselves for everything bad they experience, but if you focus on the positive potential, it’s a beautiful, motivating idea. And the power of a parent’s love is very powerful – sometimes it can motivate us to things we could never do simply for ourselves. Hi Anoinette, “on this path no effort is wasted, no gain is ever reversed; even a little of this practice will shelter you from great sorrow” – out of context or no, I love this thought, and have really felt it to be true. Even the tiniest shift is a shift – the biggest sorrow is stagnation, or giving up hope/effort. Ho’onoponpono is about this shift and healing, especially useful for mulit-generational healing.But love this post and it’s references super important work and loved reading this..thank you for the succinct explanation, phew easy to understand and yup get it.. This is one of the best things I’ve read recently, and did not know that there is a field of study called “epigentics.” It has been fascinating to watch others in my gene pool heal as I heal–no words to describe how amazing this has been to observe.